Broadview Academy is a local company from Manitoba. Our interest is, and has always been, helping our customers to achieve productivity through learning! Small and large Manitoba organizations. Local charities. Schools. First Nations. Manufacturers. Hospitals. Organized labour. Transportation companies. We serve all of them—and more—with the knowledge that the strength we build in them leads to a stronger Winnipeg and a stronger Manitoba. So, when you are looking for a training partner to bring out the best in your organization why does this matter to you? Broadview has a network of highly regarded technical trainers who, in many cases, contribute to Microsoft training material as writers and editors. Our trainers are Manitoba-based, experienced professionals who are sought after across North America to teach and consult in their areas of expertise. These experts are in the room, answering your questions in person. 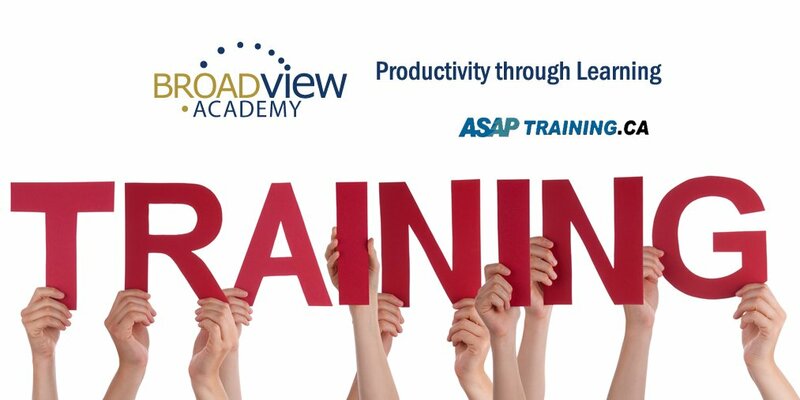 That is another piece of why Broadview Networks’ acquisition of ASAP Training is such a great story. Two Manitoba-owned companies coming together to better serve their customers. It allows ASAP to broaden their offerings into the technical areas that they could not previously deliver. It gives Broadview Networks a presence downtown for better service to our customers in the area while simultaneously broadening our course options to include QuickBooks and more Adobe products. So, next time you are looking for training, look local. Our Manitoba roots give us a strong foundation from which to grow. Find out more of our training courses by clicking: HERE! NextNext post:October is CyberSecurity Month!